So a story about a friend of ours adventure when they used a Jet Ski Rental in Fort Lauderdale. It was a wonderful weather down here in South Florida the temperature was around 85 degrees and boy oh boy was it just a perfect day to be on the water that day gotta tell ya! So they looked around what to do and one of the Tourism attraction offices recommended numerous outdoor activities for them, well of course they where staying on Sunrise Blvd just off of A1A by the beach in Fort Liquor-dale, so they got the brochure for Hugh State Park where our on the Beach Yamaha Jet Ski rental is on Ft. Lauderdale area, they came there looked around checked out the beautiful park they even used Mzcruz Rentals bicycle rental and stand up paddle board on the lake in the park. 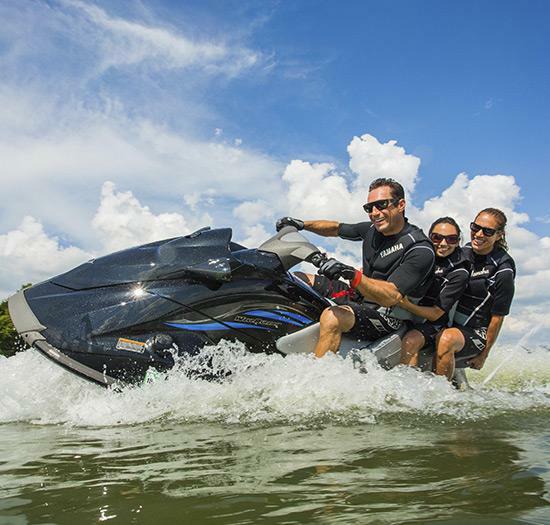 We always make sure our jet skis are detailed and clean in our Fort Lauderdale location. A things to do list of attractions in Miami for tourists with a boat rental tour is the best. After a good lunch in a gorgeous weather at the best state park in Fort Lauderdale they signed up for a jet ski ride with us for a hour on the ocean, once they received all the instructions and what to be careful for on the ocean water we pushed them in on the beach on their ski’s and what a blast they had, they where flying all over the slight waves that day since it was almost like mirror on the ocean super paradise like weather it was…after that they came back and they told use they had the best time so far out of their vacation in Ft. Lauderdale with our Jet Ski Rental adventure Services, and as you know we loved it that we made another friend and happy costumer as well made the Hugh State Park community happy too. That is we are Sun Life Water Sports.